I have the utmost respect for the citizens of Calvert, Charles and Prince George’s, Counties and understand their needs for a government that works for them. I will work for common sense legislation that will benefit the 27th District. My platform is ‘SERVANT LEADERSHIP’ for CHANGE. I will focus on election and good government, education & drug intervention, environmental justice, job creation, foreclosures and lowering taxes, (No new business, personal, and property tax). Governor Larry Hogan- Good man & Strong Leader! Policy Paradox The Art of Political Decision Making – I love books that looks at All sides ,by exposing the paradoxes that underlie even seemingly straightforward policy decisions,regardless of how Policy making is a political struggle over values and ideas. My Priority in the General Assembly is EQUITY. My goal is to ensure that all citizens have equal access to opportunity and prosperity. Maryland still retains its AAA bond rating. It is one of only eleven states to achieve this highest award. Maryland’s economy continues to outperform the country as a whole. Information technology, telecommunications, and aerospace and defense are leading forces behind Maryland’s economic growth. In the biotechnology area, Maryland is a noted leader and is at the center in the mapping of the human genome and commercial applications that result from its research. Education & Life Intervention. I will make sure we support COMMON SENSE Legislation that will SAVES LIVES, with a structured solution oriented process undertaken to persuade someone who has a problem with drug or alcohol abuse to seek help in overcoming the addiction. As a Chaplain at Baden VFD I Believe God and prayer brings CHANGE. While reasonable regulations are sometimes necessary, government must not use this as a pretext for monopoly, censorship and special interest favoritism that represses the good, normal work and expression of ordinary human activity in society. Another important need is to lower taxes and cut wasteful government spending, which has been a destructive, continuing pattern in our state for many years. Although Maryland is one of the highest taxed states in the nation, other states do just as well if not better with far less taxing than the state of Maryland. In the Maryland Senate, I would work to make government more lean and efficient, to reduce this unhealthy burden of high taxation and spending of our citizens. Yes we have to protect our 2nd Amendment , so we can protect our family from evil people. My position on Educations is let us rebuild our schools, reduce testing hours, bring technology to our classrooms and provide competitive wages for our educators. Let’s improve our pre-K and after-school programs, identify and nurture both our high performers and those who need extra help in the classroom. Let us plan now for what the next economy will require of our children and the investments we need to make to prepare them for that future. We should legalize Cannabis. Educate Maryland on regulations and how it applies to them, the life saving medical use, and create new business and jobs. Now in Maryland, Governor Hogan is working for CHANGE to lead us towards a more normal, healthy type of non-government free-market economy; however, establishing leadership in the General Assembly has long been opposed to this favorable direction of CHANGE. 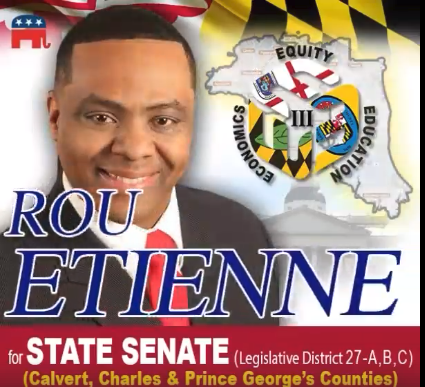 In the Maryland Senate, I would work with the Governor to provide a more favorable climate for business and employment opportunity to assure an affordable, high quality of family, life and work for all. Yes, benefits is not stealing. If agreed by the voters only. Legislators are Servant Leaders, If your work for the people, then you should be supported by the people.